Stealth and silence are hallmarks of the Royal Canadian Navy’s submarine fleet but those qualities may also apply to the federal government’s vision for the beleaguered force, says a new report released Tuesday on the future of the navy’s sub squadron. The report, titled “That Sinking Feeling” said there are indications that the future of submarines in the navy may be as shaky as the spotty service record of the second-hand Royal Canadian Navy subs. A hint of looming doom for the submarine fleet could be that there is no mention of replacements in the much-touted National Shipbuilding Procurement Strategy (NSPS), said the report, which is produced by the Rideau Institute and the Canadian Centre for Policy Alternatives. “Nowhere in the plan is there any mention of one particular, significant, readily identifiable and probably imminent procurement — namely, the replacement of Canada’s troubled Victoria-class submarines,” the report said. The report is co-authored by Stewart Webb, a researcher with the Rideau Institute, and Professor Michael Byers, a University of British Columbia defence expert. Byers has been critical of both the Harper government and Canada’s military procurement strategy in the past. In 2008, Byers sought the New Democratic Party nomination for the federal riding of Vancouver Centre but lost to Liberal incumbent Hedy Fry. The government plans on spending $33 billion over the next three decades replacing the ships of Canada’s navy. New supply and logistics ships, a fleet of Arctic patrol vessels and up to 15 replacements for the navy’s front-line frigates and destroyers are planned. But submarines, which the navy claims are vital to Canada’s defence, do not surface in the ambitious warship construction program. “Canada’s Victoria-class submarines may have as little as one decade of remaining service-life, and too many mistakes have been made with submarine procurement in the past,” the report said. The report chronicles the history of Canada’s dabbling with submarines — from the failed attempt to build up to a dozen powerful nuclear submarines in the late 1980s to the decision to buy four mothballed British submarines that had to be retro-fitted around an American-supplied torpedo. By the time Canada decided to buy the four bargain-priced submarines, the oldest had spent a total of nine years languishing in salt water without a crew. “Unfortunately, the apparent bargain quickly became a costly fiasco,” states the report. The report provides a scathing account of the “inferior vessels” since the first sub, HMCS Victoria, entered service in the Canadian navy in 2000. The time all the submarines have spent at sea is a telling number. While in service with the British navy for four years, the subs spent 1,077 days at sea. But after 13 years in service with the Canadian navy, the boats have spent only 783 days patrolling, the report said. One sailor was killed and several others injured because of a fire aboard the submarine HMCS Chicoutimi and there have been constant, and later confirmed, reports of cracked valves, a dented hull, shoddy electrical systems, rusted parts and cost overruns. CBC reported last month that HMCS Windsor’s planned two-year refit actually lasted five years and cost $209 million. 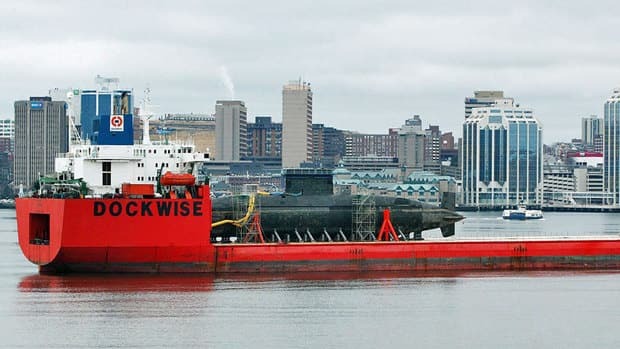 After the submarine was relaunched in Halifax in the fall of 2012 it was discovered that one of the vessel’s two generators didn’t work, resulting in the submarine being restricted to near-home waters until the multi-million generator can be replaced. That replacement might not happen for years, confirmed the navy. The federal government signed a controversial $1.5 billion contract in 2008 with the Canadian subsidiary of a British-based company to provide “in-service support” for the submarines. But Tuesday’s report said that money could have funded a new fleet of state-of-the art submarines. “The Harper government could have procured three to four brand new diesel-electric submarines, based on proven designs from France, Germany, or Sweden,” states the report. The report challenges Canadians to decide whether the navy needs submarines or not but it also ponders whether the Harper government is quietly planning to procure new submarines. Military brass have made it clear that submarines are front and centre in its plans for Atlantic, Pacific and Arctic defence. But the government has not been so forthright. “There is clearly a desire within [the Department of National Defence] and the Canadian Armed Forces for the procurement of new submarines. But the absence of submarines from the NSPS remains unexplained,” write the authors. The report suggests there may be three possible scenarios for Canada’s submarine future: a possible secret plan for the Victoria class replacement; a possible secret plan to terminate Canada’s sub capability; or there is no plan to either keep or replace the current fleet. 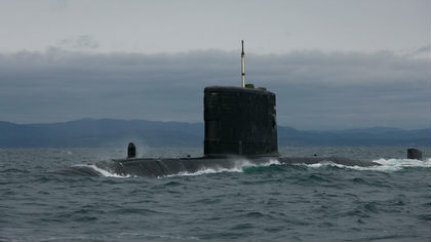 “Condemning Canada’s submarine program to death through neglect and obsolescence rather than design,” the report said. Other countries have decided to scrap submarine capabilities altogether. The Danish navy pulled the plug on its sub fleet, and the possibility of new submarines in 2004 after a national debate. Instead of subs, the Danes opted to build a small but mighty fleet of surface ships to patrol in both home and international waters. But many other countries have decided to invest in submarines as the ideal way to deny other nations access to their waters. China, India, Iran, Chile, Malaysia and Israel are all building or buying new fleets of advanced submarines. The report said there are several submarine designs Canada might consider to replace the aging but low mileage Victoria class submarines. The German-built U-214 class has the ability to remain underwater for weeks at time because of new air-independent technology. Canada’s submarines must surface, or send mast to the surface, several times a day in order to charge batteries. New submarines like the French Scorpene or Swedish Gotland would allow Canada to patrol under the ice in the Arctic and do so with just 25 sailors — half the crew needed for the Victoria class. But if history is any guide, it takes Canada 15 to 20 years to design and build a new class of complex warships. “The best-before date of Canada’s Victoria-class is approaching, perhaps as soon as 2023,” warns the report. This entry was posted in The world's submarines and tagged 2400, Canada, HMCS Chicoutimi, HMCS Windsor, Submarine, Upholder class, Victoria class on June 12, 2013 by jasonlockley. News title suggests “Hunter-killer” Not me…!!! John Buchanan of the Squamish Environmental Society filmed HMCS Victoria, a military submarine, after spotting it near Anvil Island from the Sea-to-Sky Highway on Friday, Feb. 8, 2013. West Vancouver residents looking out on Howe Sound over the weekend may have seen a 2,500-tonne steel leviathan emerge from the water just off Anvil Island. The Royal Canadian Navy’s HMCS Victoria, a hunter-killer class submarine, surfaced in Howe Sound Friday afternoon as part of a training exercise in the area. The Victoria was spotted by John Buchanan, caretaker with the Squamish Environmental Society, as he made his way down the Sea-to-Sky Highway. Buchanan pulled over to shoot pictures and video of the rare sighting. No one in Buchanan’s circle could remember any other instances of a submarine coming into Howe Sound in the past, he said. As a conservationist, Buchanan said he has some concerns with military activity in Howe Sound, but not enough to sound a red alert. The Department of National Defense purchased the Victoria from the British Government in 1998 but it spent years in dry dock undergoing retrofitting and repairs. It successfully fired its first torpedoes in 2012 and is entering service in 2013. This entry was posted in The world's submarines and tagged 2400, Canada, HMCS Victoria, Howe Sound, Upholder, Video Clip on February 15, 2013 by jasonlockley.